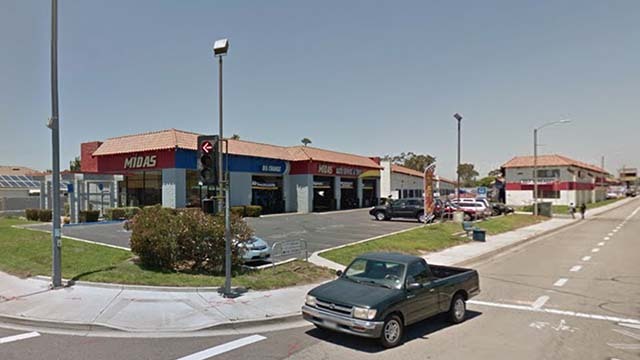 Three suspected gang members were in custody Tuesday in connection with an apparently random weekend shooting that wounded three women at an Oceanside strip mall. Detectives investigating the crime arrested Deshune Pedro Bryant, 18, Anthony Siaopo Tua, 19, and a 16-year-old on Monday evening, according to the Oceanside Police Department. The latter’s name was withheld because he is a minor. The victims, two of whom are 20 years old and the other 38, were in front of a clothing store at the shopping center in the 3700 block of Mission Avenue when the gunfire erupted at 5:15 p.m. Sunday, said OPD spokesman Tom Bussey. The women were treated at a hospital for non-life-threatening wounds. Bryant, a Fallbrook resident, and Tua, of Oceanside, are scheduled to be arraigned Wednesday afternoon. The date of the third suspect’s initial hearing in juvenile court was not immediately available.